Since we last posted, we have had a Southerly 38 called Little Pea in to do some interior alterations before she set of on the ARC, these included new lockers in the saloon, a fridge fitted under the galley sink, some new fiddle rails,and teak gratings for the showers. Longbow 2 returned after her extensive re-fit last year in our old yard, to finish off stage 2 which was mainly the cockpit, steering and a paint job, we being involved mainly in the cockpit. 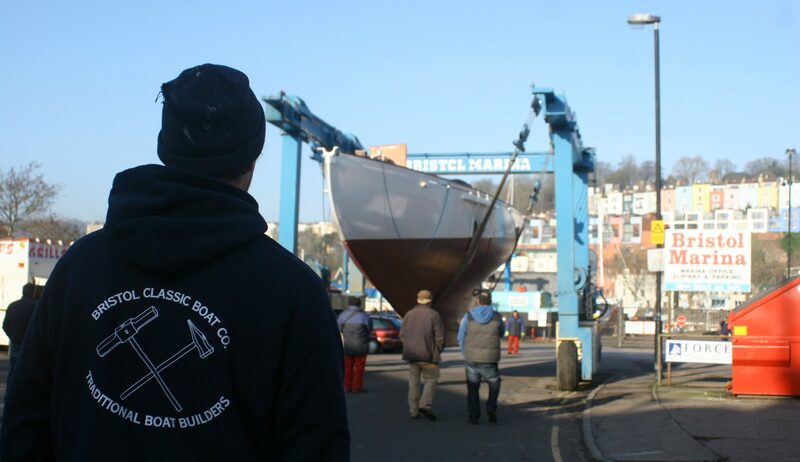 And just this week Kingfisher of Baltaza,, a 32′ Eric Class designed by William Aitkin, has come into the yard for a re-fit to prepare it for the There and Back Azores race next spring. Assessing the job now, she needs a complete hull and deck re-caulk, new standing and running rigging, new electrics, and sundry other things. Should keep some of us out of trouble!